I have been obsessed with pillows for as long as I can remember. to the most boring bed or sofa. 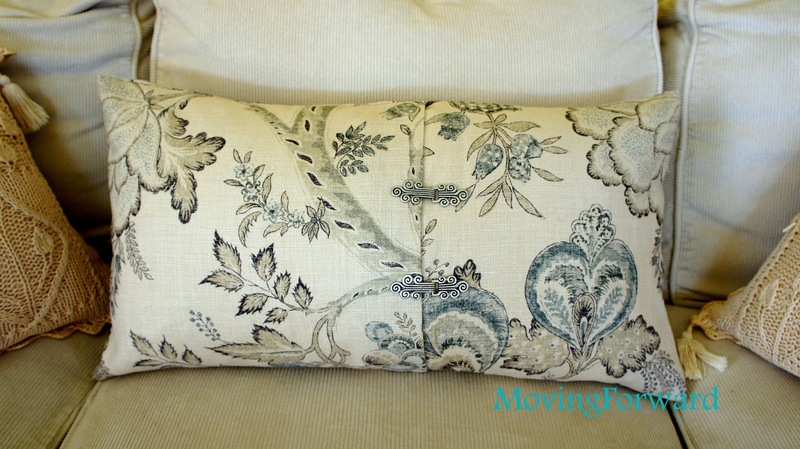 I make pillows and I buy pillows…lots of pillows! 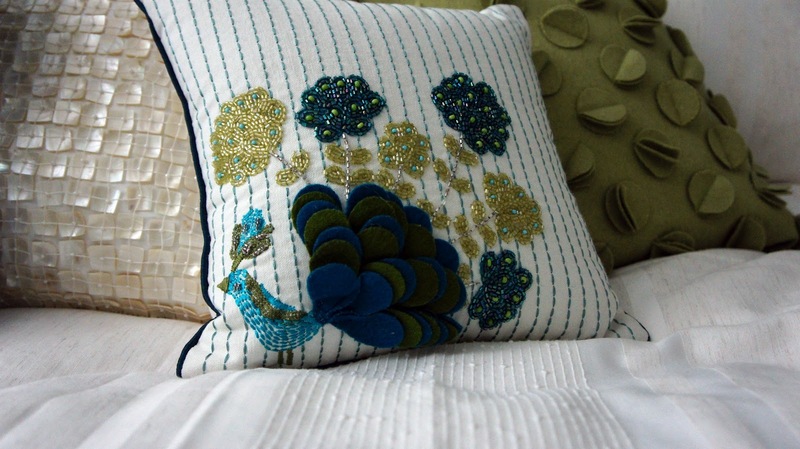 It is difficult to see in the photo but the these pillows are made with embroidered fabric…I love them! 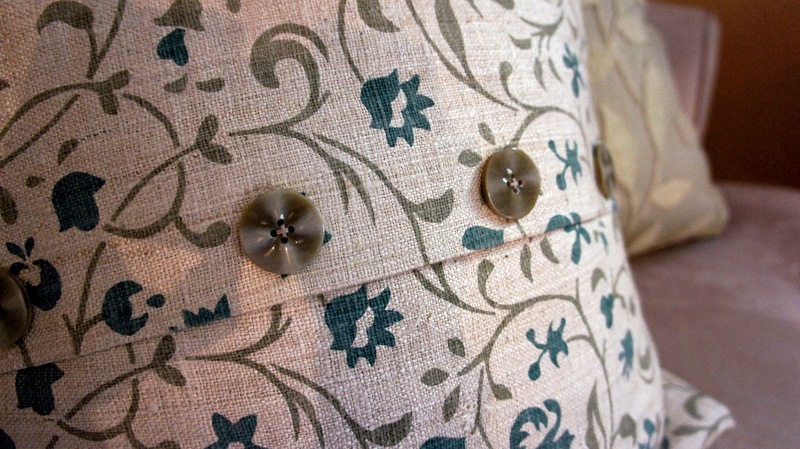 This has to be one of my favourites…used a linen fabric and these great fasteners that I found some time ago. It now takes center stage in the Master bedroom at the Farm house. This headboard needs a coat of paint…another thing on my ‘to do list’. Learned to make my own buttons…bought a kit…easy! This pillow (there are two of them) is made from napkins. lucky for me it’s my Mom’s favourite hobby. The kids are getting some new pillows too. $2 for 6 squares (a steal). 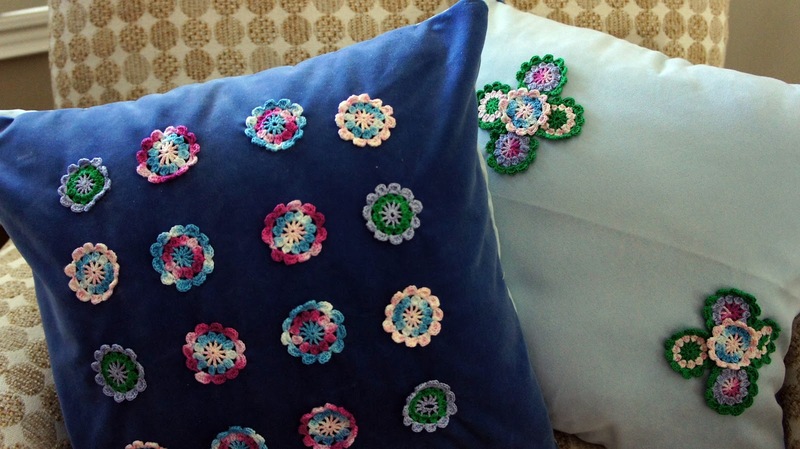 My MOM made the crochet flowers…priceless! 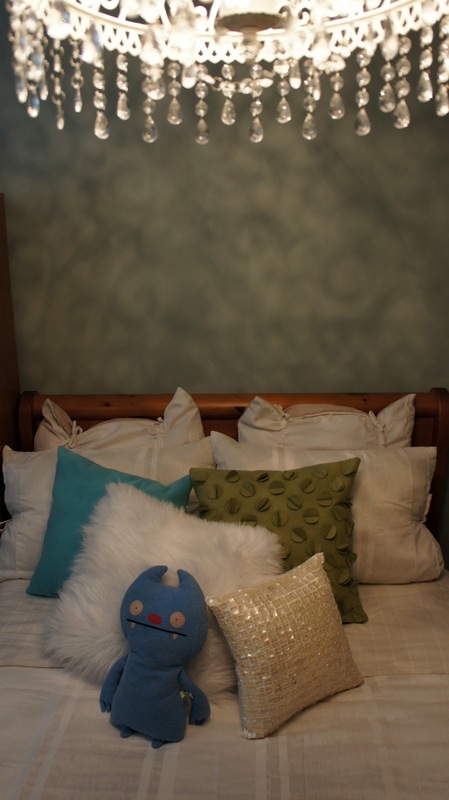 Family Room…love my Owl pillow from West Elm. they are in the living room at the Farm house. …I think my daughters must love pillows too. Have i convinced you yet? 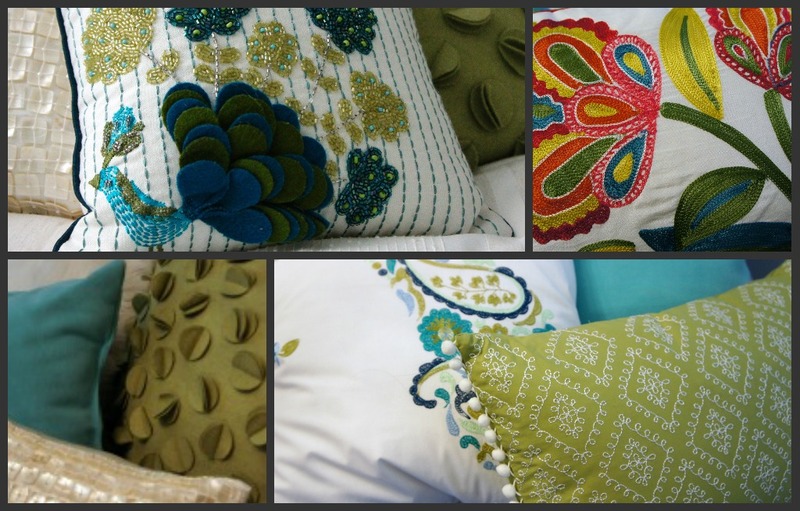 Do you have a pillow obsession too? Thanks! Just went over to check out your blog, you have a beautiful home. Looking forward to following you. 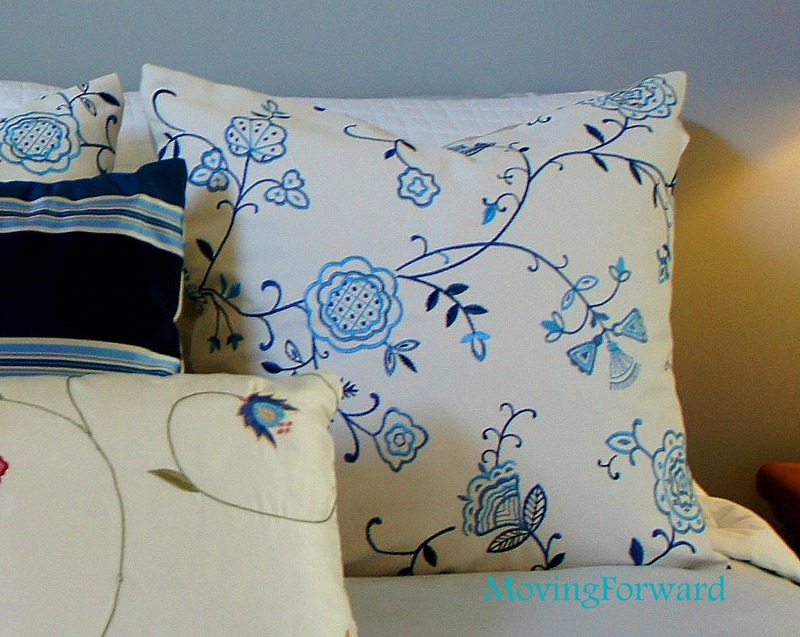 You definitely made beautiful pillows ! Hello Connie, thank you very much for the lovely compliments. I have not blogged in a while but plan on getting back to it very soon. I have been busy with my girls and life in general. I was a social worker in my past career and worked with families with children with disabilities. After taking a break I decided to pursue my passion of design. if your on Facebook please feel free to check out my page. I am going over to see your blog right now…can’t wait. Hello, I am sitting here at my computer looking through your lovely blog. I was just out surfing the web and there you were. I am in love with your Old Lamp, New Lamp post, what a marvelous re-do! They went from quite ugly to incredibly stylish. Your pillows are fantastic and that candy kisses machine you and your daughter put together . . . so cute. Thanks Jessica! Love getting feedback. I am pretty new at blogging. Beautiful! 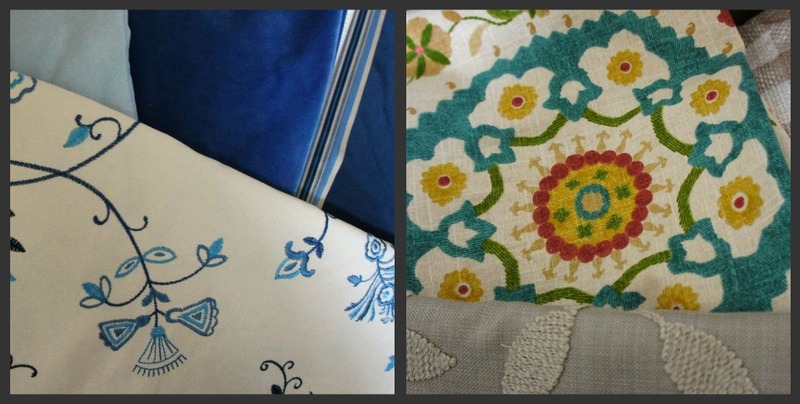 Love the mix of patterns and texture! Thanks Pam. I have many but will need many more as we recently purchased a farm house that will have three window seats…LOL! 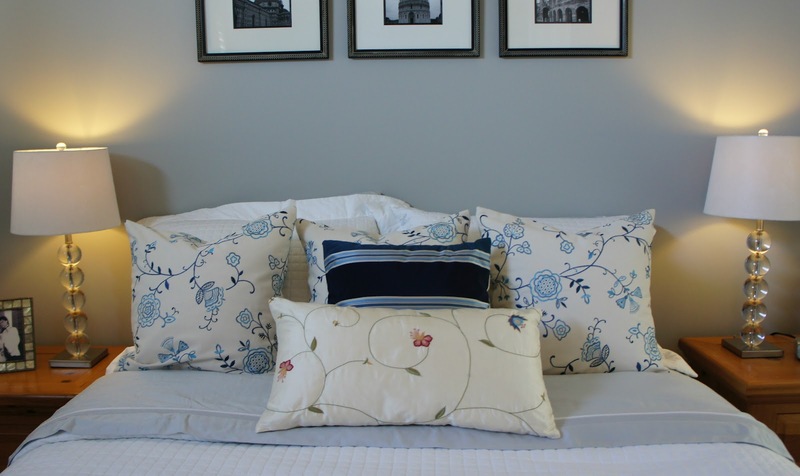 Beautiful pillows! I am a firm believer that you can NEVER have too many of them!